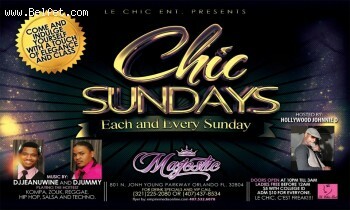 AND OUR GUEST DJ THIS SUNDAY MARCH 25TH 2012 WILL BY DJ. TONY MIX FROM HAITI... THIS WILL BE A MUST ATTEND NIGHT BE THERE OR BE SQUARE!!!!! LE CHIC C'EST FREAK.